TOUS les JOURS (www.tlj.co.kr), the healthy bakery brand of CJ Foodville, has launched an aggressive campaign to establish itself in global markets with the recent opening of the bakery’s 100th global branch. The 100th TOUS les JOURS global store is located in the high-class, high-rise development of SOHO New Town - within the Beijing CBD (Central Business District), the primary finance area and business district in China. The mixed-use residential and commercial building, SOHO New Town, has a reputation as the major business center where only the creme de la creme of Beijing reside and work. The TOUS les JOURS premium cafe bakery will also be a resident of the SOHO New Town on an area comprising 78 pyeong and with a service capacity of 50 seats in a multi-layer structure. The previous opening marking the 99th global store opening took place in Centreville, Virginia, marking its first bakery opened in the State of Virginia, and located in the first level of the landmark Grand Plaza. On the grand opening day more than 1,000 customers crowded in front of the store and formed long lines of people waiting, a clear signal of the bright future in the United States that lays ahead. In 2004, TOUS les JOURS began its overseas expansion with the first global store in the U.S. and today is represented in 7 different countries, operating across the United States, China, Vietnam, Indonesia, Cambodia and Malaysia, making it the most successful Korean bakery brand with a string of global achievements. 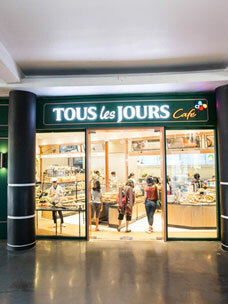 In 2007, TOUS les JOURS sensed the future growth potential of Vietnam and became the first Korean bakery brand to enter Southeast Asian markets. In Vietnam, TOUS les JOURS made an auspicious start becoming quickly known as the ‘Korean wave bakery’. Its strong presence in the Vietnamese bakery market has propelled TOUS les JOURS to the nation’s top No. 1 bakery in terms of sales revenue and number of stores. The characteristics of TOUS les JOURS global business strategy can be found in the efficient business operations whereby country-specific and custom tailored entry plans and each circumstances are taken into consideration for adopting direct management, franchise, or MF (Master Franchise, a franchising contract by which the owner of the brand name hands over the control of the franchising activities in the target country for operating rights in return for royalties and fees). The United States currently has 23 TOUS les JOURS bakeries, of which all but the Garden Grove store have opened under franchise agreements with the company thus planning to actively carry out nationwide franchising across the US for this region. The bakery brand entered China, Vietnam and Indonesia directly, whereas it entered via MF in the Philippines, Cambodia, Malaysia and the Sichuan Province Region in China. Achieving entry into overseas markets through MF by entering into a contract with a local company for the sale of technological support and brand rights, royalties and fees has certain merits when compared to direct overseas investment. The investment risk is much lower, and it is also possible to rapidly spread the brand awareness in the country through the local company’s established network, playing a major role in the acquisition of foreign exchange from royalty earnings. The TOUS les JOURS bakeries will be carrying out various events beginning May 16th through June 9th as part of the TLJ Festival. 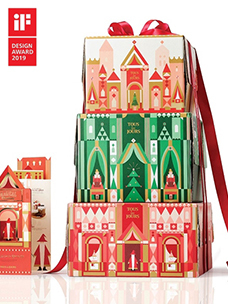 Customers who visit the global bakery stores around the world during the festival period will each receive one of a wide range of free gifts from eco-bags to free Americano drinks with purchase. 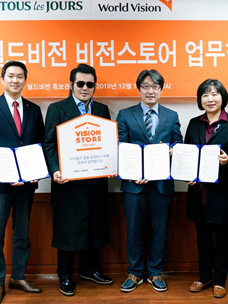 At the bakeries in Korea, meanwhile, a contest for a free give away involves a first place prize of a travel voucher abroad worth one million won (KRW). During the festival period, the bestseller from each country will be promoted, “Indonesia ? Sweet red bean buns,”“China ? Raisin bread,”“USA ?Pure Milk Chiffon,” and “Vietnam ?Pure Milk bread”. Contest entries will be selected from receipts submitted by customers with proof of purchase of the above items.